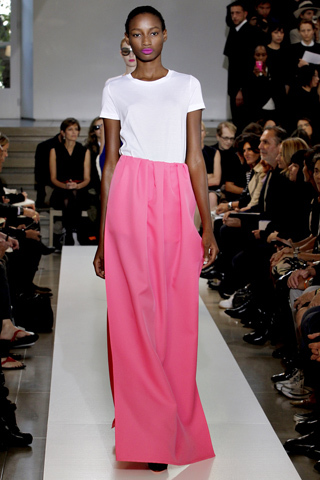 My inspiration today was the Jil Sander Spring 2011 collection. So simple, yet elegant and breezy, and a flower in your hair is the perfect touch for a tropical country like Singapore. Of course, when I go back home to NYC, I will definitely be wearing this outfit in the city. This look actually goes well for both day and night, depending on what it is you're doing. I love your long skirt, love the color! well done! looks really gorgeous.